david and elizabeth: THIS POST IS TOTALLY FOR DAVID!! THIS POST IS TOTALLY FOR DAVID!! 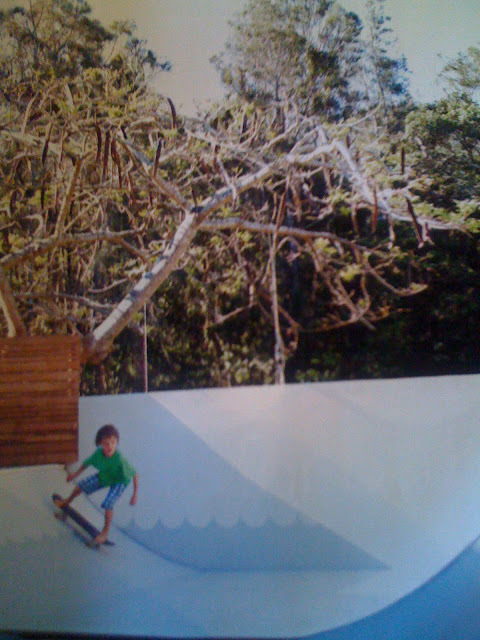 While I was in a cafe yesterday with Mum, I had a flick through an InsideOut magazine and spotted this picture of a half-pipe in the backyard of a family’s house in Byron Bay. Knowing that this is one of Dave’s dreams for a house of ours one day, I pocketed this image. May the half-pipe dream live on.